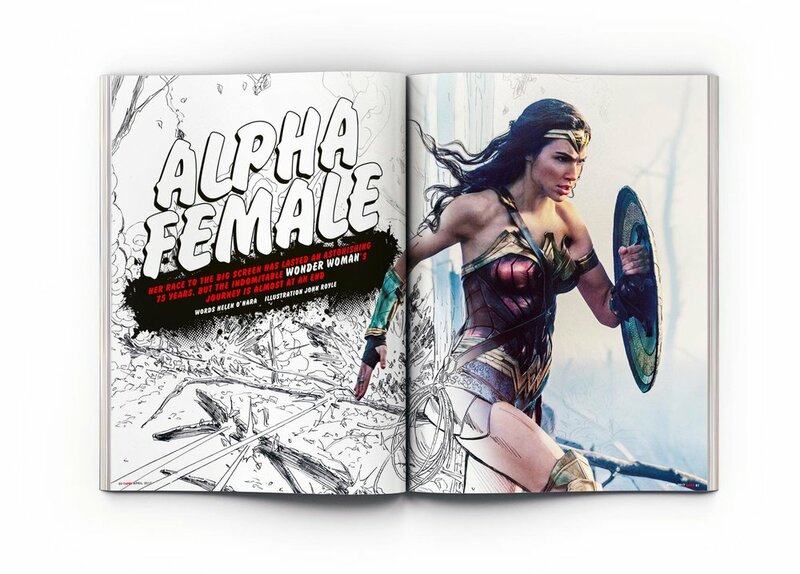 For Empire's feature on the DC film Wonder Woman the Creative Director commissioned comic book artist John Royle to illustrate over a still from the film. The article spoke about how director Patty Jenkins managed to transform it from it's original comic book format into the big blockbuster. For the digital edition and for social I animated John's illustration to 'draw' and reveal the image over the still. This was a time consuming process as I animated every line by hand.